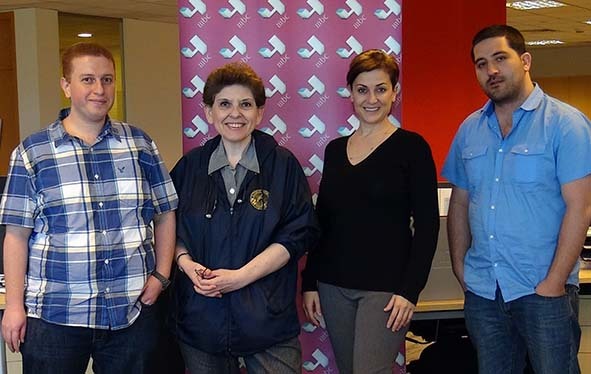 Monte Carlo Doualiya radio interviewed Media Unlimited director Magda Abu-Fadil to discuss her take on mitigating the dangers of “fake news” and how journalists should verify sources. 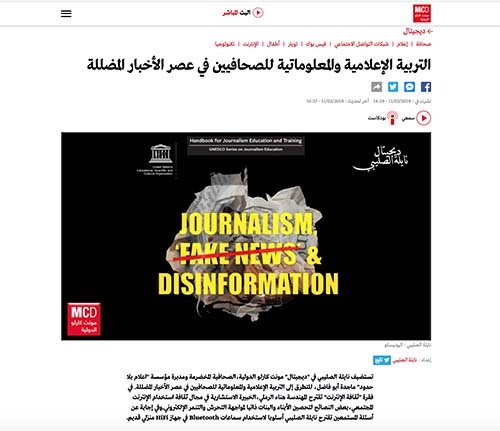 “Digital” show host Nayla Al Salibi dedicated a segment to Abu-Fadil’s media and information literacy chapter in the UNESCO book/course “Journalism, Fake News and Disinformation” and the tools needed to handle misleading news before it’s published. 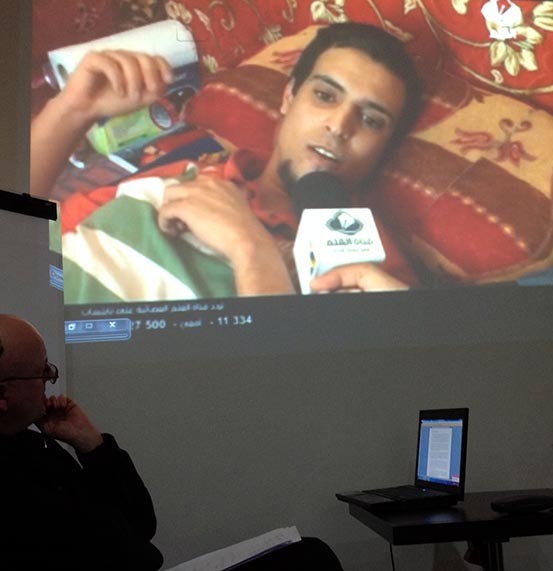 Abu-Fadil shed light on journalists’ issues in dealing with social media and dubious platforms as well as media ethics in the digital age since photos, videos and audio content can be manipulated with ease. She insisted the expression “fake news” should not be used since it’s been weaponized by politicians, notably U.S. President Donald Trump and others, against their adversaries. 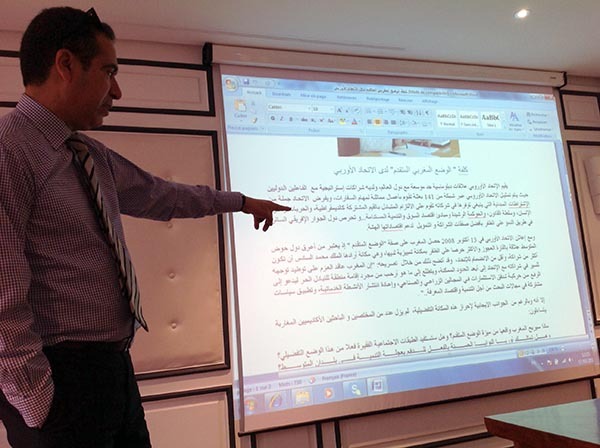 Abu-Fadil said disinformation and misinformation in the “post-truth” and “alternative facts” age were more appropriate, depending on their respective contexts. 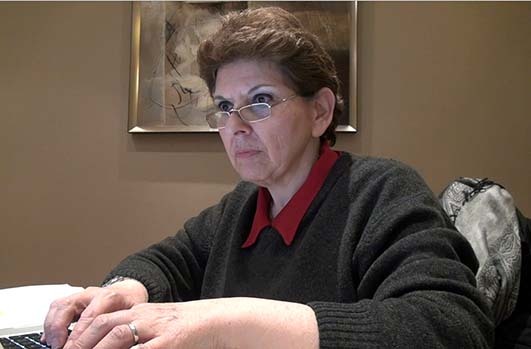 You can hear the interview here [ http://media-unlimited.info/wp/wp-content/uploads/2019/02/DIGITAL-SAMEDI-09-02-2019-DOSSIER-MAGDA-ABU-FADIL.mp33]. 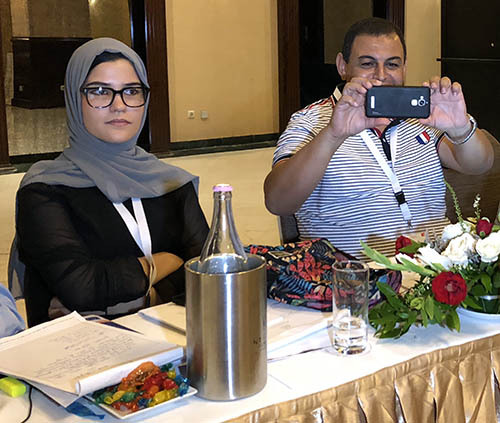 Migration, refugees and human trafficking once again featured at a three-day workshop in Tunis grouping 16 journalists from various media who learned how to shape the story, focus the narrative, keep it ethical, and make it more relatable. 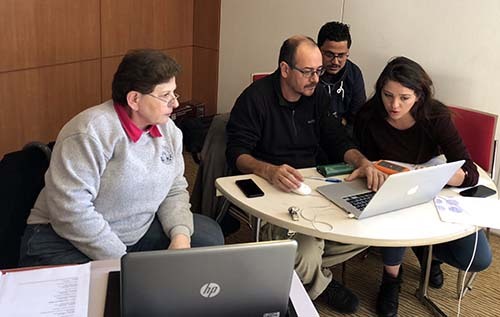 Media Unlimited director Magda Abu-Fadil, cameraman/editor David Hands and senior media training and exchange expert at the Open Media Hub Petko Georgiev led the mini-course. 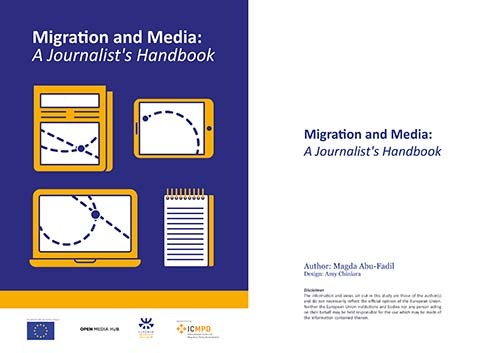 It aimed at helping the reporters and editors better understand the subject, identify who the stakeholders are, acquire the correct terminology to define people and their status, know where to dig for contextual information, and what traps to avoid when reporting the story. 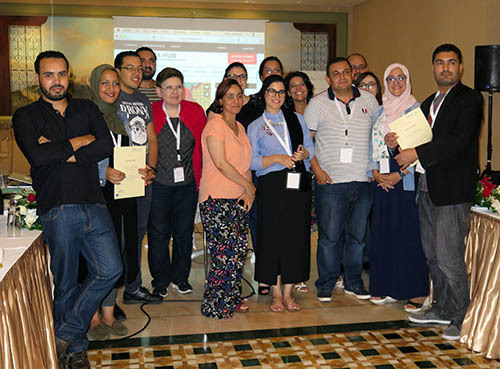 The workshop in November 2018 included journalists from Tunisia’s national television channel, newspapers, news websites, the state-run national news agency and radio stations. 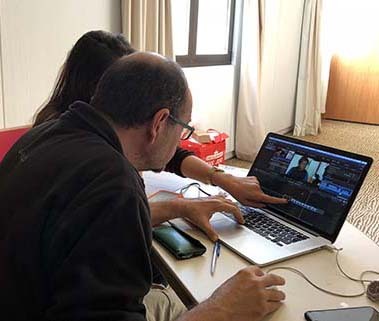 They had proposed story ideas to pursue prior to the training and several went out with Hands to shoot footage and conduct interviews during the sessions. 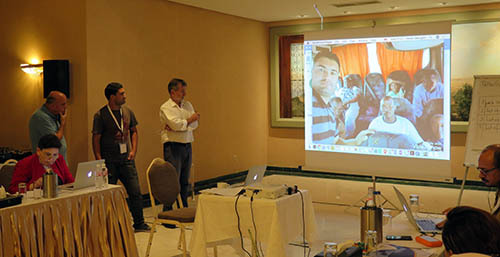 On their return to the mentoring periods the journalists were then guided by Hands and Georgiev on the mechanics of assembling the elements into viable short pieces for broadcast while Abu-Fadil pitched in advice on ethics and interviewing techniques. 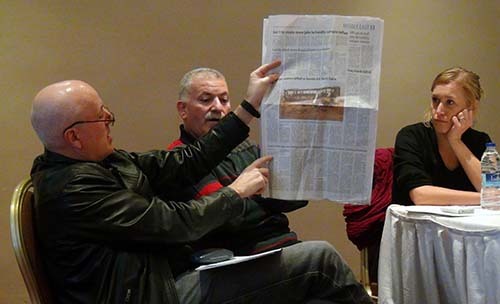 The previous week Abu-Fadil moderated a panel at the Assises Internationales Du Journalisme De Tunis where some 500 Francophone participants from Euromed and West African countries gathered to probe the question: Journalism Useful for Citizens? 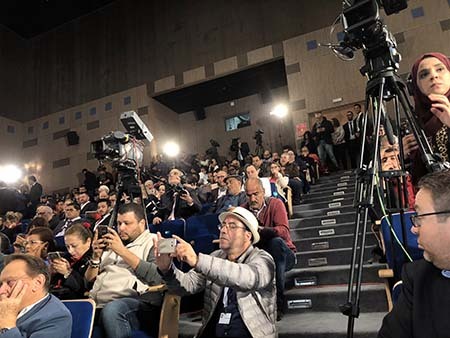 The three-day event in the Tunisian capital – almost 50 thematic sessions, debates, exhibitions and side activities – comes at a critical time when freedom of expression is being tested and violated on a daily basis in many of the countries from which the delegates hailed. 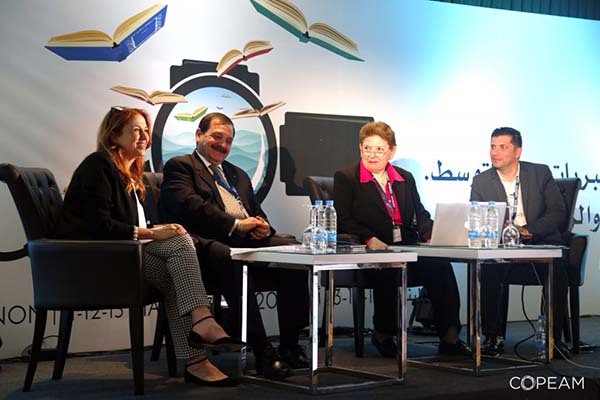 Abu-Fadil chaired a session entitled “No Useful Journalism Without Verification: How Do We Confirm An Image, Information?” during which she also plugged the UNESCO book she co-authored “Journalism, Fake News and Disinformation” . 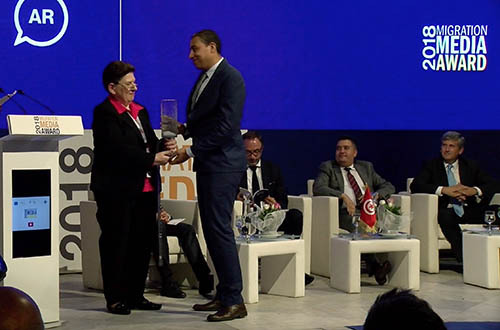 The Assises Internationales Du Journalisme De Tunis is supported financially and programmatically by the Open Media Hub, which is implemented by the Thomson Foundation. 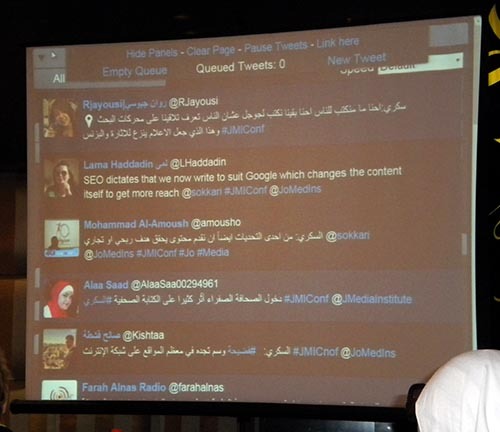 Media Unlimited director Magda Abu-Fadil told a Beirut conference the issue of fake news may cause extensive damage and provided examples of how Photoshopped pictures and distorted videos go viral on social media. 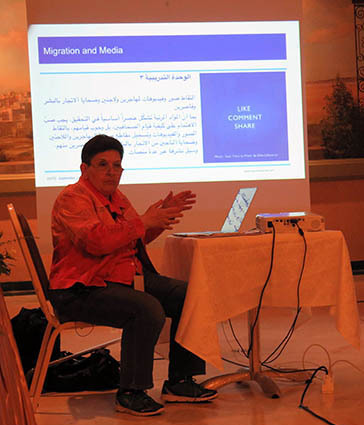 “Professionalism and media ethics equal a winning equation in the 21st Century,” she said at the “Mediterranean Storytelling: Complexities, Media Response and Public Opinion” event, adding that today’s wars and crises are defined as social media and fabricated news conflicts. 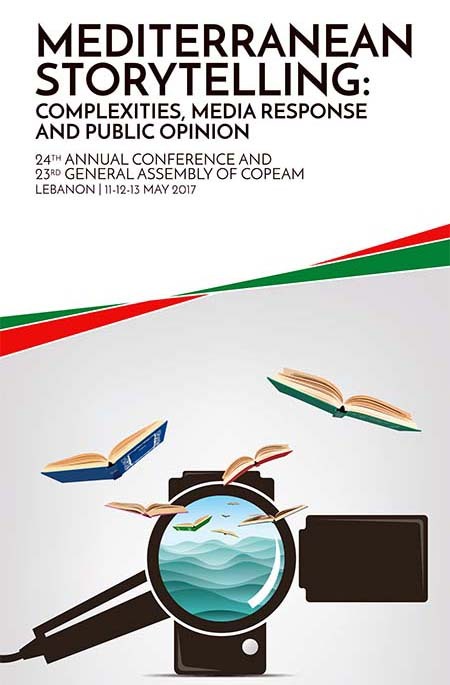 Abu-Fadil was speaking at the at the 24th Annual Conference and 23rd General Assembly of COPEAM, the Permanent Conference of Mediterranean Audiovisual Operators in Beirut, Lebanon, in May 2017. 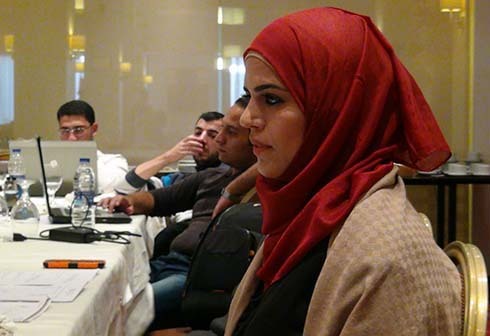 She joined experts seeking solutions to coverage of complex issues, notably migration, terrorism, fake news, their impact, and audience behavior. 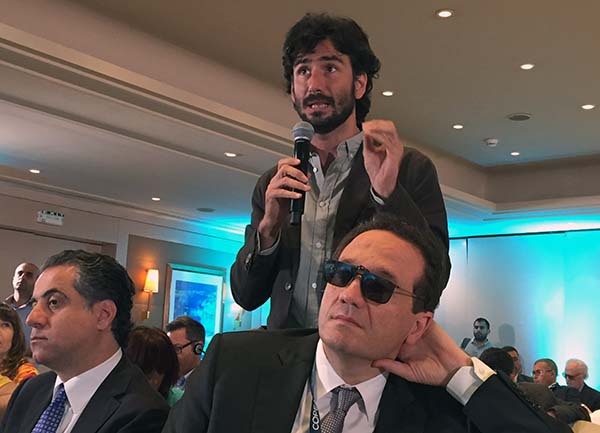 COPEAM is a non-profit association devoted to the promotion of dialogue and cultural integration in the Mediterranean region through the involvement of the audiovisual sector’s major players. 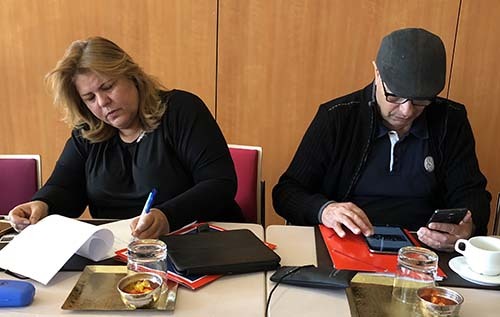 These include public service radio and TV broadcasters of 26 countries, as well as professional and cultural associations, higher education institutions, and, independent producers and local authorities from Europe, North Africa and the Middle East. Rome-based COPEAM groups 60 members. It acts on a multilateral cooperation formula aimed at enhancing and exchanging expertise within its network. It bears repeating: media ethics aren’t a one-off endeavor and shouldn’t be a priority only when trouble brews. 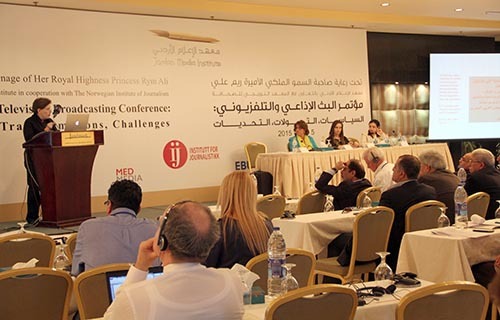 Media Unlimited director Magda Abu-Fadil made the point during the “Radio and Television Broadcasting Conference: Policies, Transformations, Challenges” organized in Amman by the Jordan Media Institute in May 2015. She said broadcast media were under intense pressure, given tight deadlines, security threats, competition and shrinking budgets. So the key challenges are: how do we define media ethics and who sets the standards when the journalism of terror is becoming the new normal? 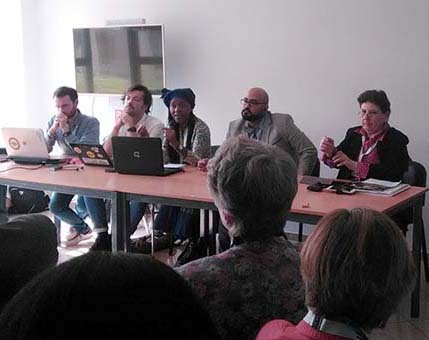 Abu-Fadil spoke about representatives of major Western media who addressed the issue of “The journalism of terror: How do we bear witness when everybody is a witness?” at the International Journalism Festival in Perugia, Italy in April. 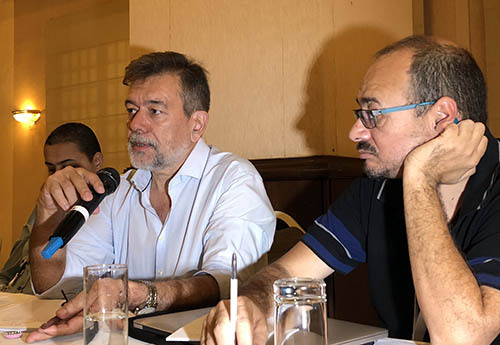 Given the unstable security situation in many countries, broadcast news is relying more and more on footage and reports from alternative and questionable sources like citizen journalists, terrorists, activists, NGOs, governments and others. 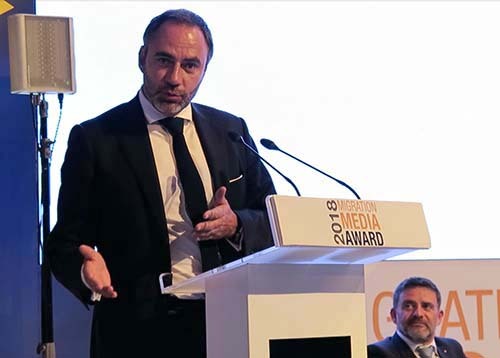 Abu-Fadil cited several broadcast, online and social media case studies from Arab and Western news organizations that were clear violations of ethical standards. 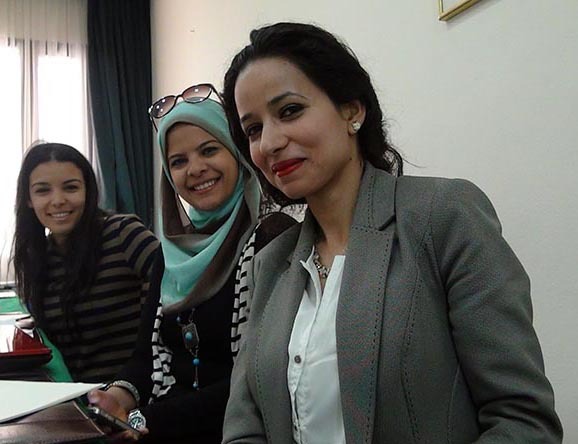 She wrapped up her presentation with the “Guide to Online Media Ethics in Arabic” and the guidelines for graphic content of the Radio Television Digital News Association in the U.S.
Don’t report the process, tell the audience what is important and why, BBC veteran Russell Peasgood instructed Tunisian journalists at a workshop to review their output following an earlier course. Peasgood provided insights on how to improve radio and TV reports, what camera angles are best for what types of shots, indoor and outdoor sound quality, broadcast interviews, and overall content. 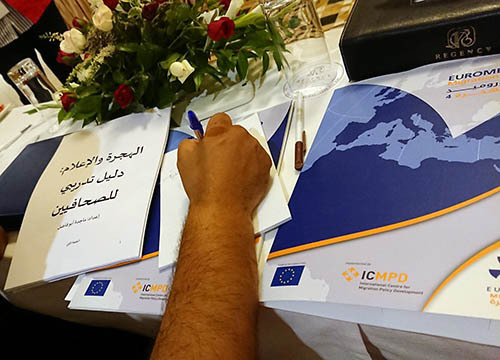 The training was co-conducted by Media Unlimited director Magda Abu-Fadil in Tunis and is funded by the European Union (EU). She also advised them to simplify the language they use in print, broadcast and online reports and to address themselves to their respective audiences, not to their bosses. 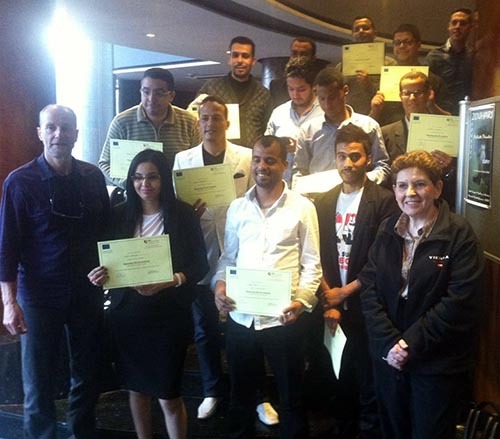 The trainees represented media based in Tunis, Sousse, Manouba, Sidi Bouzid, Nabeul, Sfax and Djerba. 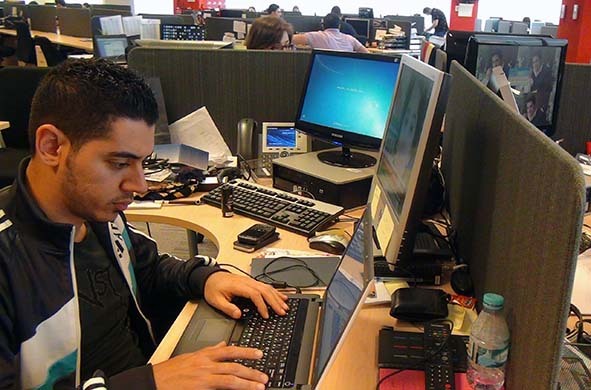 How can one train journalists in coverage of the entertainment industry? It’s not just television, radio, the movies and awards shows, but also the performing arts, the lucrative gaming business, health matters, and sometimes sports issues that define entertainment. Add “infotainment” and “edutainment,” and one has a vast world of news, views, statistics, and countless forms of visual representation to produce and deliver to any number of recipients across multiple mobile platforms. So juggling news gathering, curation, production and packaging into the right online channels and interacting with one’s audiences via social media to keep the dynamic conversation going requires special talents, skills and a wide base of general knowledge. 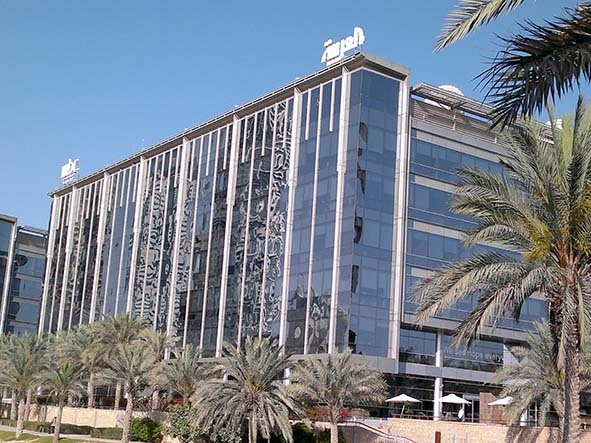 Enter Media Unlimited’s Magda Abu-Fadil who worked with a team of very capable and professional entertainment journalists at the MBC Group’s online newsroom in Dubai to sharpen their skills and tweak their copy. The March 2013 workshop focused on identifying entertainment journalism, tools of the trade, story structure, the art of writing entertainment news, breaking news and features. The brief course dealt with widening the information base, working with archives, using background data and integrating strong visual elements in all stories. Not to be overlooked was a dose of media ethics, notably in a field rife with rumors and innuendo. 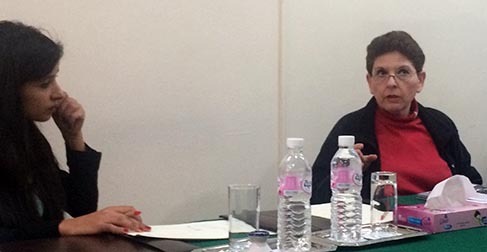 The team also learned about interviewing techniques when dealing with celebrities, speeches, news conferences and the use of social media to collect and promote entertainment news.